Product prices and availability are accurate as of 2019-04-20 22:36:43 UTC and are subject to change. Any price and availability information displayed on http://www.amazon.com/ at the time of purchase will apply to the purchase of this product. TF1000 Features: -Set includes 1 x LR44 battery. -Ipx7 waterproof / dishwasher safe to 190f. -Instant readings. -Hold function. -F/c selection. -Calibration feature. Product Type: -Digital. Number of Items Included: -4. Food Type: -Meat/Poultry. Instant Read: -Yes. Commercial Use: -Yes. Dimensions: Stem Length: -4". Overall Product Weight: -0.2 lbs. 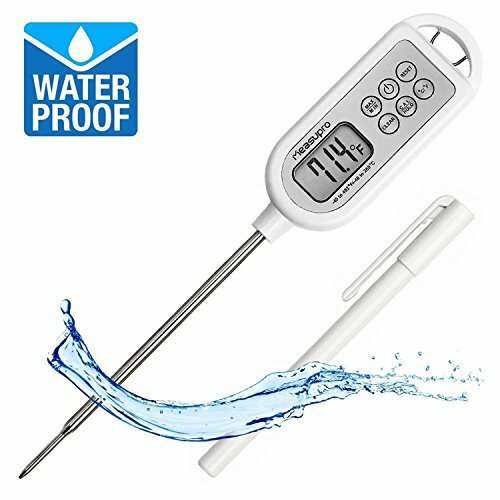 The MeasuPro digital thermometer offers a wide measuring range of -40Â°F to 482Â°F / -40Â°C to 250Â°C with an accuracy of +/- 1.8Â° F. 100% waterproof with an IPX rating. 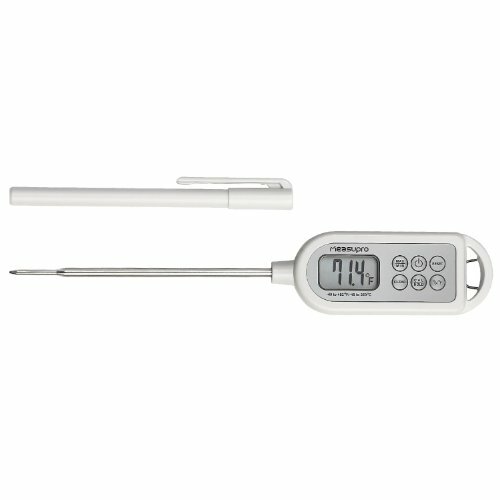 Food thermometer provides instant read measurements within 5-6 seconds. Versatile and reliable, readings can be adjusted to Celsius or Fahrenheit. 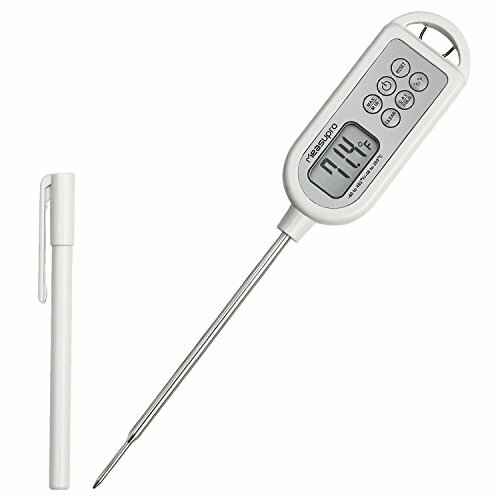 Thermometer is pocket sized but offers a convenient extendable handle, probe size measures 4.5". 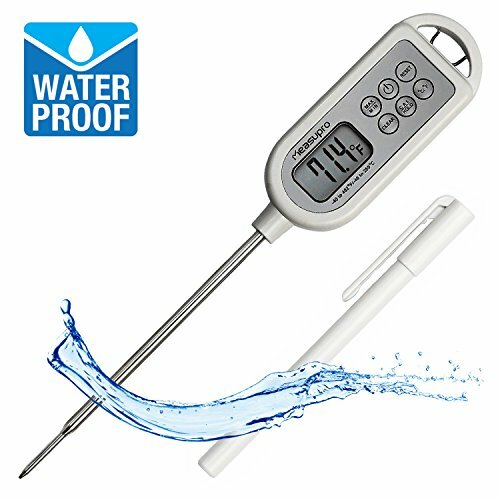 Manufactured with advanced craftsmanship, this digital thermometer provides the most precise and accurate temperature readings. Includes 1 LR44 battery with an auto-off function of 15-20 minutes. Hold function can be used to lock the displayed temperature reading. Max/Min function recalls the last lowest and highest temperatures measured.